Hitting month 6 felt like reaching a glorious summit compared to where I had been, especially during my first few months of pregnancy. Back in months one and two especially, I was tired, nauseous all the time, scared and alone. “I really don’t understand how anyone could possibly enjoy this,” I thought to myself, daily. But by the time I reached month 6, I had gotten into a groove. I was enjoying my regular trad-walking in Yosemite. And most important, I finally started blogging about my pregnancy. To be open and honest about what I was going through, and to hear encouraging words from other people, was such a relief. It made my sixth month the most enjoyable one yet. Who doesn’t love the Manure Pile Buttress? After all, it’s one of the great trad-walking walls in the world! Despite its “crappy” name, the MPB has been my climbing sanctuary while pregnant. I climbed After 6 and Munginella (above Camp 4) as often as I could persuade Randy to lead me up them, just one more time. And yet, I found increasing challenges each time up these low-angle trad-walks. With each outing, I noticed that I was incrementally slower than the time before. One day, I ran into fellow Yosemite resident and amazing climber Sean Leary (aka Stanley) at the base of After 6. His wife, Mika, is also pregnant, about one month behind me. It was fun to hear that she is still climbing and biking and doing great. It’s awesome to be a part of a place that is so accepting of climbing while pregnant. At some point during month 6, I injured my finger—not climbing, but while fishing through my pack. My joints were getting really loose and seemed prone to stretching out of place unless I was super careful. Continuing my shoulder exercises became increasingly important. I put climbing on hold, and focused on walking and keeping my joints as tight as possible. Far and away, the highlight of month six was hitting “publish” on my first Climbing Pregnant blog post. I wasn’t just nervous, I was actually terrified. Some of this has felt so personal. I was hesitant about being so open about all my worries and fears. I didn’t want to seem weak, or petty, or worse. But a bigger part of me wanted to remain true to my experience and not sugar-coat it. 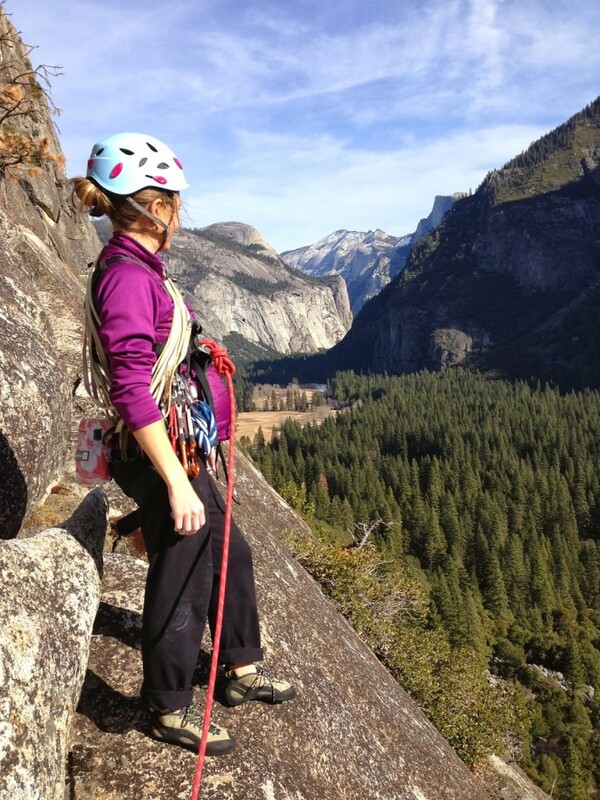 I wanted to open a dialogue about climbing pregnant as openly and honestly as I could. What followed was nothing short of amazing. I’ve heard from people across Europe, Australia, South America and the United States, all thanking me for getting this subject out there. The response from women, and even men, around the world has made this blog seem like one of the best things I could do. The fact that so many other women climbers and mothers could relate to my experience of not knowing when or how to climb during pregnancy, and, worst of all, feeling scorned for doing so, has made me realize that this topic was really something that needed to be openly discussed in the climbing community. It has been really rewarding to help facilitate that discussion, in whatever small way this blog has been able to do that. A lot of women have asked me about climbing inside versus outside while pregnant, because a majority are climbing in the gym. I haven’t climbed in the gym since my second or third month—basically when I stopped bouldering. I know the gym is an amazing and super convenient place for most people to climb. It’s also a great spot for women to climb together. But for me, gym climbing tends to be too steep, and I’ve tried to avoid steep routes because they put much larger forces on my finger, shoulder and elbow joints. And with our driest season here in Yosemite, I’ve tried to take advantage of being outside, climbing on slabs that aren’t as stressful to my loose joints. Another observation: Usually when you are climbing in the gym you are following someone else’s route setting. And even if that route is far below your level, you might inadvertently do a move or get into a position that isn’t compatible to your current pregnant body. I’ve avoided climbing in the gym on purpose for these reasons, too. Outside, especially on routes drastically below my limit (5.7’s and 5.8’s), I find I am able to climb in positions that feel okay and safer to me. The point isn’t that outdoor slabs are more well suited to climbing pregnant than indoor routes. Both can be fine. The point is to listen to your body, and know what will work for you, your body and your baby best. As month 6 draws to a close, I found myself feeling pretty big. And I know I’m going to get even huger, though I am having a hard time imagining how that could be possible! Already people are asking me if I’m due soon, and I’ve still got 3 months to go! I must be one of those women who just pops out, because my belly is getting bigger and bigger each day. But more than feeling big, I am ending month 6 feeling grateful and happy and amazed as I reflect back on the journey I’ve already been through with this pregnancy. The other day I went back and read some of my earlier drafts and first posts. It was eye-opening to see what a different state of mind I was back then. I was so full of fear and discomfort that it really impeded my ability to enjoy or at least marvel at what was happening to my body. The nausea made me perpetually sick, along with a stint of E. Coli, which never leaves someone in a good headspace. Couple those things with the fear of miscarriage, telling my sponsors and my climbing peers, and I could see how I was such a nervous wreck. It has made me wonder about other fears in my life: I wonder if they are also blown out of proportion? Or are those other fears all just in my head, too? I know that my life is changing and is going to change forever with this kiddo. And I know that it won’t all be sweet-smelling roses (probably a lot of poopy-smelling diapers, actually), but at least I’ve overcome my fear of being open and honest, to my friends and peers and even to the climbing community at large. To overcome being so closed off has made me feel much stronger and more confident. It made month 6 feel like a turning point, a summit of some sort that I had reached. But I know there’s still a long climb ahead over the next three months. Regardless of whatever lies ahead, knowing that I’ll be able to share those experiences openly and honestly makes it all seem much less scary. Thanks again for all the messages and comments and letters. They really make me feel like we are all part of a tight community. And best of luck to all the women who have reached out to me and who are due early spring! Dear Beth, thanks again for one more of your inspiring posts! They always make me feel happy, and motivated, and not alone… As my due date gets closer (3 weeks 1/2) I am starting to worry (among thousands of other things) about how easy or difficult it will be to keep climbing once the baby is here, how am I going to be able to introduce climbing and training in the new routine. I know it will need loads of extra-effort, but I just hope it all works out. Best wishes (again), Ana. I'll definitely keep posting how it goes for us with introducing our little guy to our lifestyle, I'm sure there will be many ups and downs and trials and tribulations, but hopefully we can get into some sort of groove. Thanks again for reaching out, and best of luck in the upcoming weeks! Dear Beth, I just wanted to share with you that our baby girl is here. She was born on April the 7th and she is really perfect. I tried to post a picture, but it is impossible. Do enjoy the last weeks of your pregnancy and the time with your partner… it is really precious. All my best wishes for you. Congratulations Ana! Thank you so much for writing and giving me the update! I am so very excited for you 🙂 Not too much longer on our end – getting very excited to meet him! Thanks again and all my best!! My husband and I know we want to have a family some day (we are still pretty young and are in the very early stages of our marriage). What floats across both of our minds, frequently, when discussing our future family is how the heck are we going to continue to climb and live our outdoor lifestyle. What I think about specifically is how am I going to handle the pregnancy and early years of our future child. I know that I will have to dial back the intensity, but it is hard to find the information out there to really know how much. The stories you post about your experiences and other women's experiences in the rock climbing community have really been my only consistent source of information for women who like to get on the wall and also want to have a family. 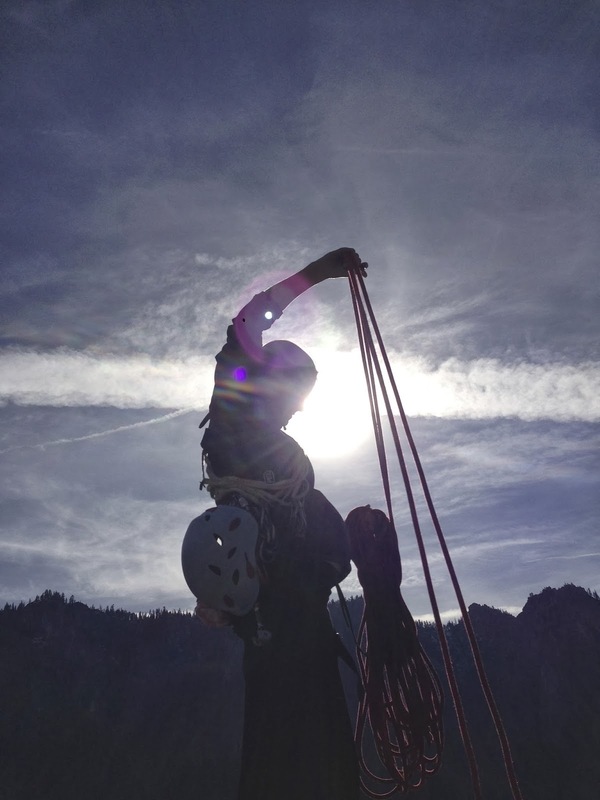 Your blog has opened my eyes to the difficulties and beauties of having a child as female rock climber. So I just want to say THANK YOU for creating something in the rock climbing world that can be used as a resource for my future family and hopefully many others out there! Thanks again for paving the way!